Seascape Sports Club has a complete Fitness Center with State-of- the-Art Equipment, Our Cherry Wood "Free Floated" Aerobics Floor is easy on your body and home to a variety of Group Fitness Classes. 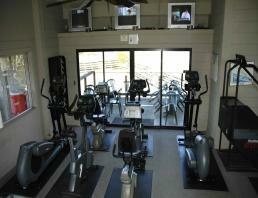 We also offer Adult Swim and Aqua Aerobics in our Swim Center and Circuit Training in our Fitness Center. Our Fitness Manager is Haley Kepler (email Haley). Our Fitness Director is Kelly Vantress (email Kelly). 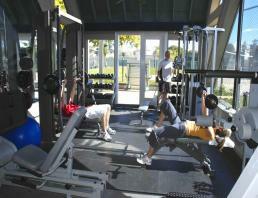 Personal Training, Massage Therapy and Fitness Classes are available to Non-Members. 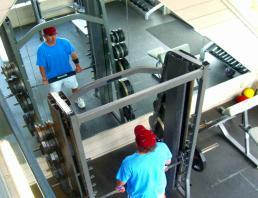 The Fitness Classes include Yoga, Barre, Pilates, Spinning, Zumba, Cardio Dance, Boot Camp and Aqua Aerobics. 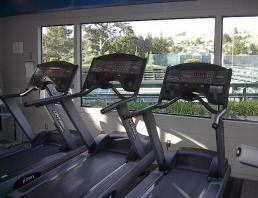 For more information about fitness at Seascape Sports Club call us at 831-688-1993.